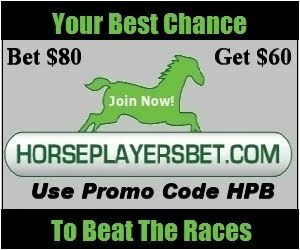 Texas Horseplayers cannot bet on horses legally online. So much for land of the free. Texas Racing Act in 1986 which predated internet states that horse betting can only take place if wagers are made at a track. Texas amends Act in 2011 to specifically make wagering online on horses illegal. Churchill Downs sues, and is allowed to take online wagers until case is decided upon. Churchill Downs loses suit in September 2013, and suspends all online activity in Texas. Churchill Downs appeals case and loses appeal in September 2014. Churchill Downs most likely lost because they were fighting the wrong battle. Their biggest argument was that their business was being discriminated against and cited the interstate commerce law. They were not allowed to take bets through their bet taking business (Twinspires), yet racetracks were still allowed to take bets. The problem with that is that no company is allowed to take bets online in Texas, not even racetracks. Think of it like this, it is as if a state legalizes marijuana sales but only if it bought at designated locations which meet stringent standards, and of course, internet sales would not be legal in that state. Tough to argue against. The State of Texas pretty much used this type of reasoning to defend the gambling law, but their arguments can easily be shot down when it comes to horse racing. If this is done without the parents knowledge, the parent will know within a month and the kid will be denied access very quickly by the parent. If it is with the parents consent, it is no different than when I was 14 and gave my dad or a friend of his a couple of bucks to bet on the 3 to win (and this was at the track). Money laundering is probably much easier to achieve these days by either offshore bookies (which still take Texas residents I believe) or at the track (betting a large sum to show and cashing the wager with complete anonymity). There is simply too much of trail for money launderers to do this online with a legal ADW these days. As for fake IDs, one doesn't even need to show ID at a track unless they look underage or they cash a signer, etc. In Canada, one only has to show ID if are asking for a check at the track. Besides, ADWs are at the forefront of both fraud prevention and catching fraud as presented at the Global Symposium On Racing in Arizona in December. Besides the right of freedom of choice being ripped away, most, if not all ADWs have strict policies when dealing with admitted problem gamblers, it is my understanding, they are generally banned for life. Similar to Ontario's casino program. Again, I'm not sure if the racetracks themselves have identification programs that are successful in preventing self confessed problem gamblers from wagering, but I think not. The other thing is that the problem with gambling addicts is they still need to be able to have funds to wager, and if they do, but can't play horses online, they still have other options from going to a casino, betting with a Texas bookie or offshore bookie online 24/7, going to friendly illegal poker game and wait......play Daily Fantasy Sports online in Texas, something that really appeals to the younger generation these days. If I were to bet, the ADW rule was enforced by a group that wanted to force gamblers to go to the track and they pulled some political favors in. Just a guess. The results are still not in, but I doubt this enforced law has created one purse increase in Texas, in fact, inevitably it will cause the regular Horseplayer to play less, become less involved, and find other games to play instead of horse racing. As for Newbies, forget it, if high takeouts (lack of visible winners) are the main reason horse racing can't a substantial amount to replace newly deceased players, in Texas, Newbies just will become totally extinct, it is after all, the internet age. Had Churchill Downs argued for the the Horseplayer/consumer instead, the results may have been different. The Horseplayer in Texas is at a distinct disadvantage. Not to fellow Texans, but against other players in most every other state. And is very simple argument could be made that Texans who have to now go to a track or simulcast center to wager is betting not only against fellow Texans but against players from all over the US, Canada, and even other countries, most of whom can wager online. Here is a simple one. Someone in Texas either handicaps a horse or gets a hot tip on a horse and that person either lives too far from a simulcast center or track or something comes up where they just can't leave their home. That person cannot place a wager, yet someone in another state can go on their computer and make the bet on their "sure thing." There are pros and cons for a Horseplayer to be at a live venue. They might be able to get better information at the track (I don't believe in tips, but many do) and/or they also have full access of the walking ring and post parade, more than someone on a computer might have, which can help make a better gambling decision if one is into reading the body language of horses. One of the biggest cons of being at a live venue is the ability to cancel a wager if a horse acts up at the gate, for instance. Someone on a computer can do this in the matter of seconds, while there is no guarantee that someone at a track will be able to get their ticket cancelled let alone have time to make a different wager. The thing is that in most other jurisdictions, there is a choice, but not in Texas. The Horseplayer is at a distinct disadvantage. Arguing for the consumer is somewhat a slippery slope for Churchill Downs as they have a policy of denying racetrack content they control to many competing ADWs which results in giving the consumer less choice. Maybe they just didn't want to go there.